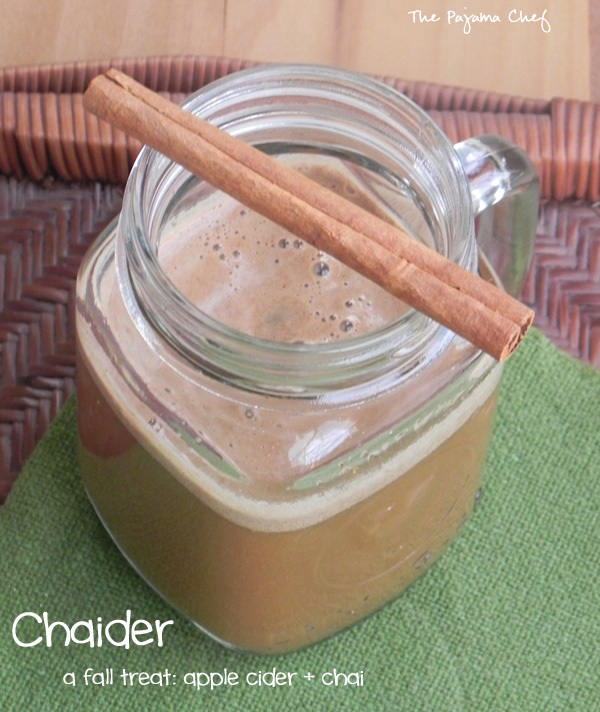 Chaider is an awesome fall treat; the perfect blend of hot apple cider and chai. It’s fall in a mug! There’s this great coffee shop in Ben’s college town, Athens, OH, called Donkey. Saying they are great is a total underestimation of their wonderfulness. They’ve won awards for having the best coffee in the state of Ohio and they totally deserve it! I lived in Athens for two years and went to Donkey on my first full day in town per the recommendation of a friend. I had no idea the love I would develop for that coffee shop, and not just because it was the place of our second date [and many more afterwards]. It’s the best coffee I’ve ever tasted, and the atmosphere inside is even better. You can literally spend all day there, lounging in one of the comfy armchairs under the funky lights. It’s one of my favorite places in the world and I would seriously consider leaving Nashville behind to head back to that tiny college town just so I could frequent Donkey Coffee on a regular basis. 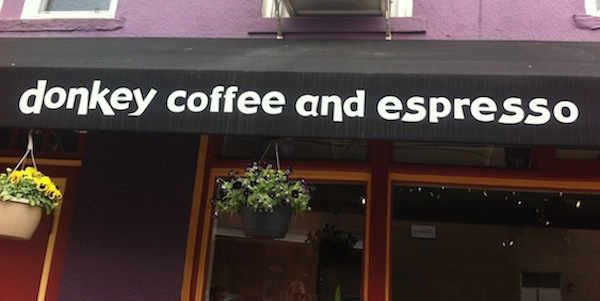 Like many coffee shops, Donkey serves up a variety of specialty seasonal drinks. I have no idea if they do the pumpkin thing, but I do know they do the Chaider thing. I’m sure to many folks, Chaider sounds a bit weird, but it’s actually pretty phenomenal. 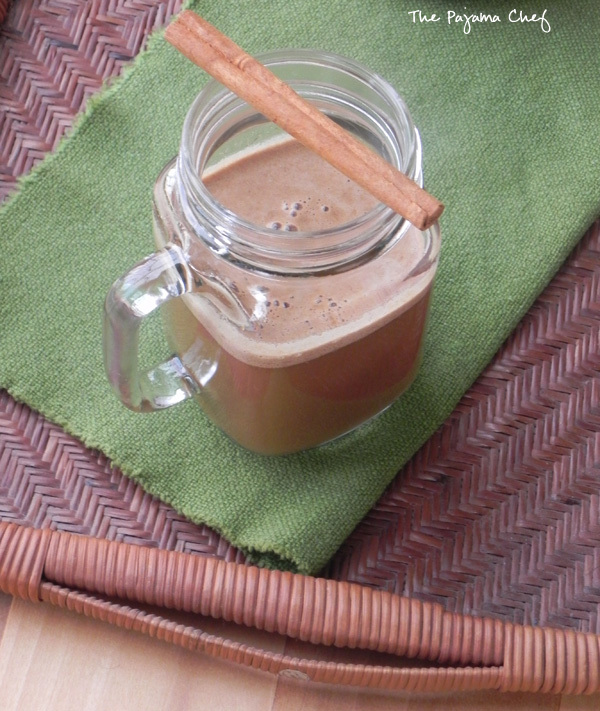 It’s this fun blend of apple cider and chai, perfectly spiced and served hot. It’s always in high demand during the fall since you can only get it for a few short months. It’s Ben’s favorite, and since we are 5+ hours away from Donkey, I just had to find a way to make it at home! 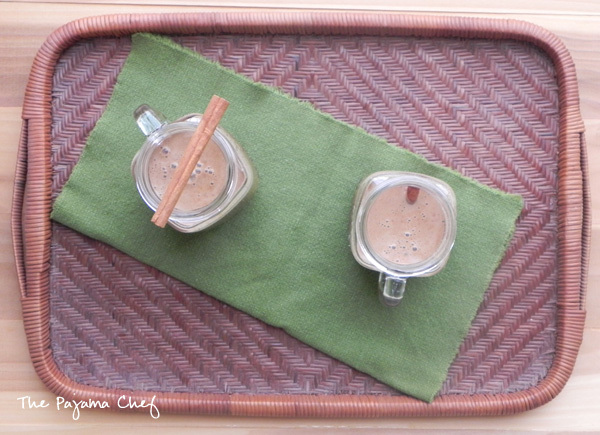 In the past I have made chaider by blending fresh apple cider with some chai. Pretty simple. But this year, I think I finally found the secret to making authentic homemade chaider–fresh orange juice, cinnamon stick, and cloves. Boil and simmer, then remove cinnamon and cloves before serving. It takes a little more time but amps the flavors up SO much more. For this drink you’ll need to use coffee shop style chai, so either the bottled concentrate or the powdered stuff. Chai tea bags aren’t exactly the same thing. Donkey uses the powdered kind of chai [and has their own wonderful blend, in case you’re ever there in the non-fall months] so that’s what I used too. When I made a batch of this on a recent Sunday afternoon, Ben said he felt like he was back at Donkey again. I’d consider that a win! Try it soon–you’ll love it! It’s a perfect drink for an afternoon walk in the woods to admire the leaves or a cozy night at home or whatever else suits your fancy in the fall. Ahhh, bliss. Combine all ingredients in a saucepan and bring to a boil. Reduce to a simmer and heat for 5-10 minutes or until hot. Remove cinnamon stick and cloves, then divide between 2 mugs and serve hot. I’ve never heard of chaider before but I love the concept and the name is just a perfect combination as the flavors. I have to try this!! Ummm this is genius! 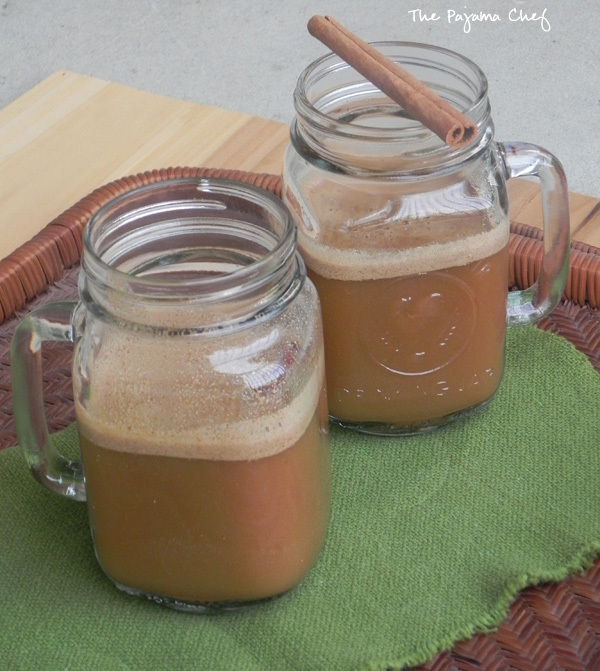 I love it when people add all sorts of warm fall spices to cider and chai flavors are just perfect! Oh wow – this will most definitely be made at our house! I absolutely loveeee the sound of this! Chai and apple cider are some of my favorites but together?? Awesome. This looks amazing! I love chai, and I love cider, but I never would have thought to combine them…awesome idea!! love the donkey chaider also, did a search to find a recipe close to theirs and came to your blog first. made some last year with cider and the donkey spiced chai mix. i love that you can order their products online!! helps that donkey fix when you can’t make the drive! i graduated in 08. Donkey is great, isn’t it? When I moved back to this part of the country from Phoenix, AZ ten long years ago, I made a weekly pilgrimage to Athens and Donkey Coffee. I half jokingly call Athens the closest outpost of civilization to my neck of the woods here in Meigs County. Thanks for the recipe. We’ll give it a whirl.